Should i put enamel on the back of all pieces? What high do you recomend for the Basel? Hi Neda, yes if cloisonné. The thickness of counter enamel is the same thickness of the front enamel. Sometimes it is hard to tell if you have enough on the back. When in question you can put a scrap piece of cloisonné wire on the back to be sure it is same as front. Also the front cracks if there is not enough counter enamel. Is 18 gauge x 30 gauge wire a good measurement for cloisonne? Hi Lorena, I usually use 18 x 28 ga. So the first number is the thickness and the second is the height. Re cloisonne wire I don’t understand what these sizes represent: .005 x.040. Is this per inch? Is one the thickness and the other the height? 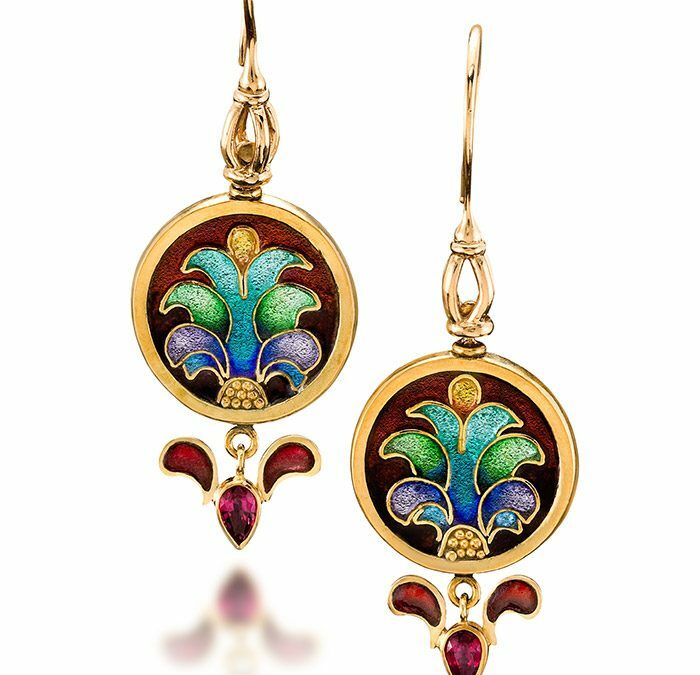 Do you use liquid enamel and do you have any information on it? Thanks for the visit. Yes it is the thickness and the height. It also comes in a thicker and shorter size. .008 x 0.32. Do you mean faux enamel. No I do not. I use vitreous enamels.